I love visiting old buildings and getting inspired by the history surrounding you. And now one of my favorite churches, the Notre Dame, is on fire. Am I the only one who feels like crying? OMG!!! This makes me sad. I hope everyone is alright. Yes! And it looks like they’re having a hard time containing the fire. Who knows how much damage this will end up doing. I just saw it on the news I hope they can restore it. I hope so too! I can’t believe these brave firemen standing on the roof! I’ve been to the Cathedral… Omg, I hope the firemen keep safe. Did they know what happened? 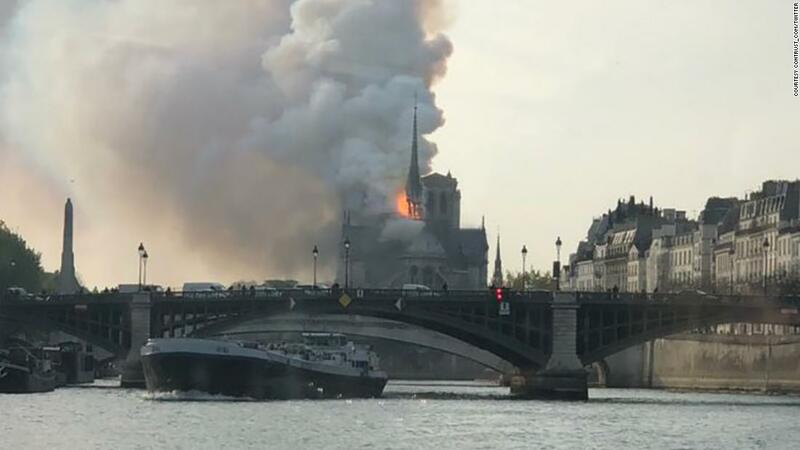 Un terrible incendie est en cours à la cathédrale Notre-Dame de Paris! Le monde est désolé . Meilleurs voeux à Paris. No, they don’t know, but it was under construction, so it might be related to that. Yes, I don’t think much can be salvaged. Let’s hope it doesn’t get to the facade. Rebuilding would be so expensive and of course, like you said, it’d never be the same. I’m so happy I visited at least once. The’re evacuating the island… Right now talk is about the hospital next to Notre Dame and the buildings around threm. Looks like the firefighters are giving up. I’m baffled they don’t seem to have a protocol for a situation like this. Or if they do, it’s not working very well. The big decorations are already gone. The storage with the gargoyles tumbled down from the roof a while ago. Where are you seeing this? I’m watching CNN but they’re showing the same footage over and over.